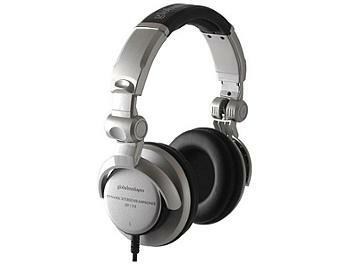 Monitoring headphones suitable for transcribing, studio, and general monitoring situations. Clear natural sound with a slight emphasis on low and mid frequencies yet still crisp and bright. Ideal for hard to hear instruments hiding in the low and mid frequency range. 90 degree rotating ear pieces and adjustable head band for comfortable fitting. This is the second pair I've bought, very good headphones , no problems at all. and very clear! So impressed i'm buying another pair for personal listening.